What: Star Wars: Ahsoka Book Tour and Fan Meet-Ups at select Barnes & Noble bookstores and at the Disney Booth #2820 at New York Comic Con to celebrate the release of the new book, Star Wars: Ahsoka, from Disney-Lucasfilm Press. 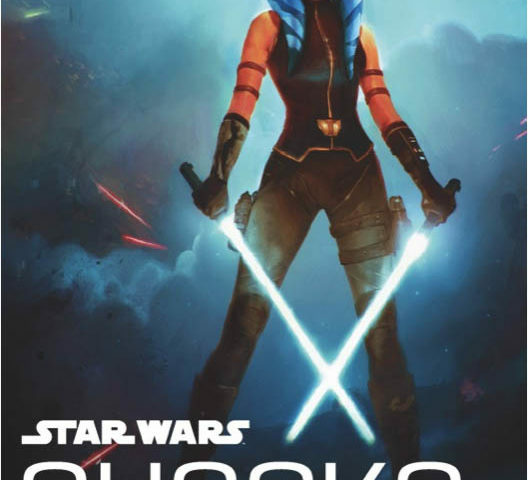 Star Wars: Ahsoka Book Overview: Fans have long wondered what happened to Ahsoka after she left the Jedi Order near the end of the Clone Wars, and before she re-appeared as the mysterious Rebel operative Fulcrum in the Disney XD TV series, Star Wars Rebels. Finally, her story will begin to be told. Following her experiences with the Jedi and the devastation of Order 66, Ahsoka is unsure she can be part of a larger whole ever again. But her desire to fight the evils of the Empire and protect those who need it will lead her right to Bail Organa, and the Rebel Alliance. Who: Actress, voice of Ahsoka Tano, Founder of Her Universe and narrator of the new Star Wars: Ahsoka audio book, Ashley Eckstein, will be joining Star Wars: Ahsoka author E. K. Johnston for a book tour and fan meet-ups, which includes autograph signings, Q & A sessions, excerpt readings from the new novel Star Wars: Ahsoka, trivia and more! You can pre-order your copy of Ahsoka here. Be sure to shop Her Universe here. Thank you to Her Universe. Next article #GoRogue with Rogue One Pre-orders at Sideshow!